Nanyang Technological University (NTU) has sacked a professor and revoked a doctorate awarded to a student for allegedly falsifying data in their research. Professor Ravi Kambadur, who led the research group studying myostatin, was found "wilfully negligent" in his supervision of the group, said the university in a statement on Wednesday (July 13). Prof Kambadur was jointly employed at NTU and A*Star, and both institutions have terminated his employment. A check on NTU's website showed that Prof Kambadur's academic profile had been removed. Prof Kambadur's LinkedIn profile shows that he obtained a PhD in Biochemistry from PGIMER, or the Postgraduate Institute of Medical Education and Research, based in Chandigarh, India. His profile page on A*Star's website was still online on Friday (July 15). He is listed as a senior principal investigator at the Singapore Institute for Clinical Sciences. 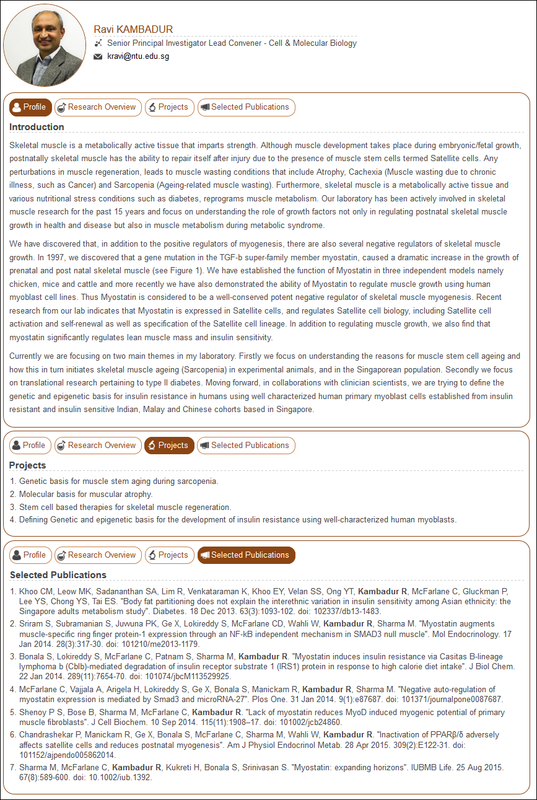 A description of his research on the site states that myostatin, a protein produced by muscle cells, regulates muscle growth as well as lean muscle mass and sensitivity to insulin. NTU said investigations had been conducted over allegations of malpractice in research, and the outcome of this probe in December 2015 had resulted in a doctorate awarded to a student, Mr Sudarsanreddy Lokireddy, being revoked. It added that further investigations showed that data had been falsified in some in vitro laboratory studies on myostatin research. This resulted in three research papers published between 2012 and 2014 being retracted. The group had been conducting research on myostatin, in a joint project with NTU, the Agency for Science, Technology and Research (A*Star) and the National University of Singapore. Repercussions of the falsification of data in this project are set to grow, as more people could be implicated as well. Other researchers are expected to face disciplinary proceedings over this matter, said NTU in its statement. The university also reiterated its zero-tolerance policy on any form of research malpractice and said that it would not hesitate to take action against errant staff or students.